There never has been and never will be another record company like Rough Trade. 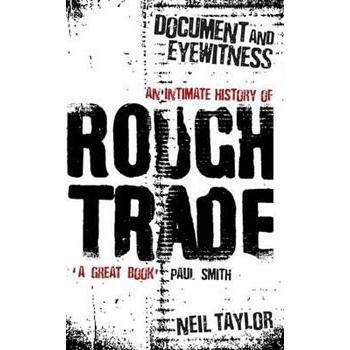 From its pre-punk, collectivist beginnings set against a 1970s backdrop of energy cuts and the three-day week, through its coming of age during the post-punk era it helped to create, Rough Trade has been responsible not only for some of the finest recorded material committed to disc, but also for championing a radical ethos that has constantly challenged what has gone before. It remains an unassailable eminence in a post-New Labour Britain, having released some of the defining records of the 21st century to date. Stretching back to Cambridge and the counter culture of the early 1970s, Document and Eyewitness traces the history of the company that started out as a humble record shop and turned itself into an alternative global empire, before self-imploding and eventually re-emerging in its present form. The book blends the voices of over 70 participants, all interviewed fresh for the project -- musicians such as Green Gartside, Robert Wyatt, Johnny Marr, and Jarvis Cocker, as well as workers, many of whom speak for the first time about their experience -- with the fruits of a hiterto unpublished archive of documentation, presenting a frank, reflective, absorbing, atmospheric and deeply articulate account of what many consider a national institution.